Worry dolls - maybe you have had some when you were a child. Remember how comforting they were back then? Well now your children, relatives children, nieces, nephews or the children of friends can benefit from them as well. 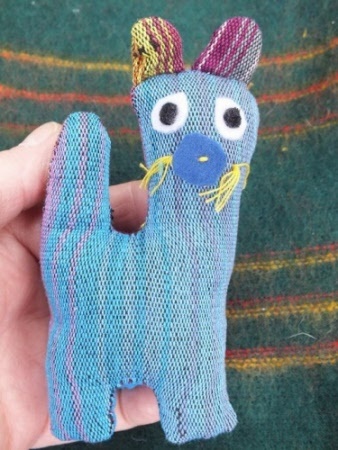 The story goes that when your child is having trouble sleeping, maybe due to the worries of life in general, then you give a worry doll to them. They tell their worries to the Worry Doll and place it under their pillow when going to bed. The Worry Doll does all their worrying for them and they can have a good nights sleep. 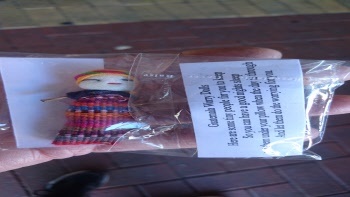 You get one worry doll in a bag as pictured. 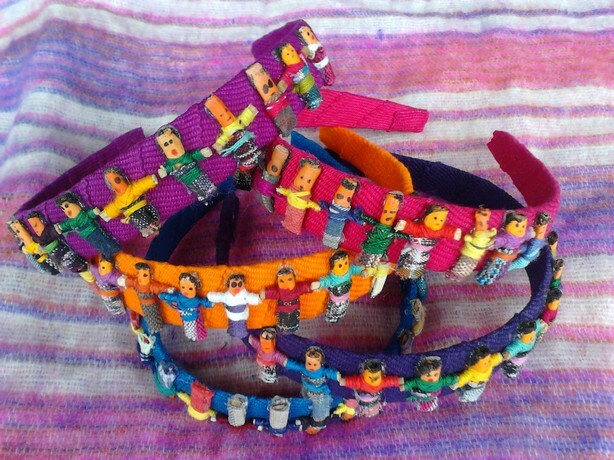 They are Guatemalan worry dolls but this time on a headband. You can take them with you everywhere you go - display them proudly on your head for all to see. They are so cute and come in different colours. - Choose your colour from the list when ordering. Look at this amazing back pack. 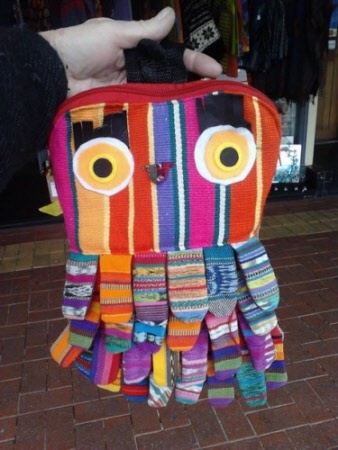 Made in Guatemala - this back pack is a fair trade product and good quality. Have your child to be the first one at school wearing one of these, limited numbers available. Postage with tracking is $8.50 (within Australia only) other countries please ask for a shipping quote. Beautiful cat soft toy from Guatemala / South America. 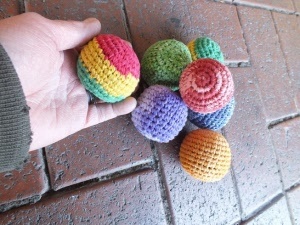 This is a Fair Trade Product / it is made from cotton and filled with soft pillow filling. 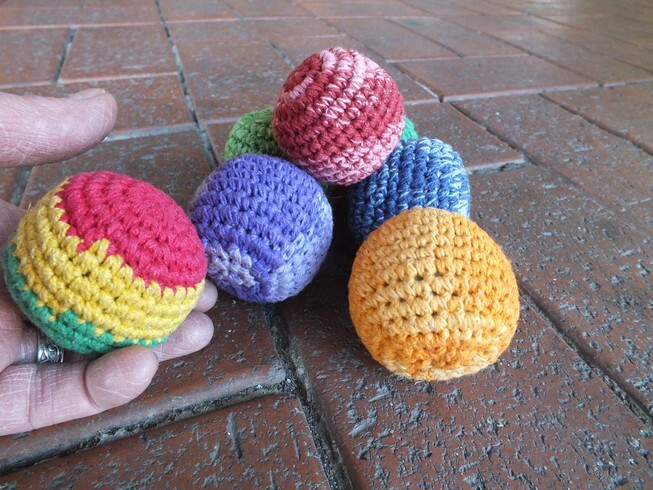 Lovely and colourful, the ideal first toy for your baby. 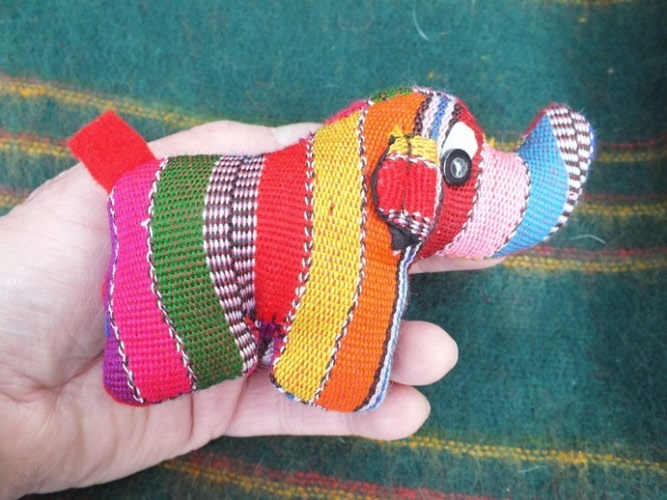 Give him or her something to treasure - make their first toy a fair trade toy. Dino the dinosaur will certainly attract their attention and keep them amused for ages. Cute and soft, with bright colours to attract your little one. Hand made with cotton and soft filling, this little Elephant is sure to bring joy and happiness to your child. Maybe this can become their favourite toy which they will keep and pass on to their children also. A great way tod decorate your childs room. 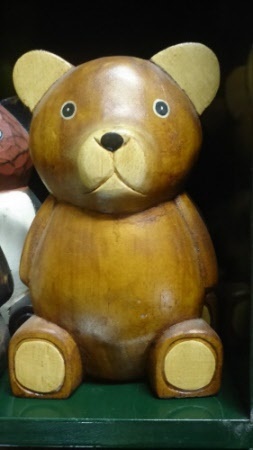 This beautiful Teddy Bear has been made from wood and hand painted. Put him on a shelf, dresser, or cupboard, children love their Teddies. 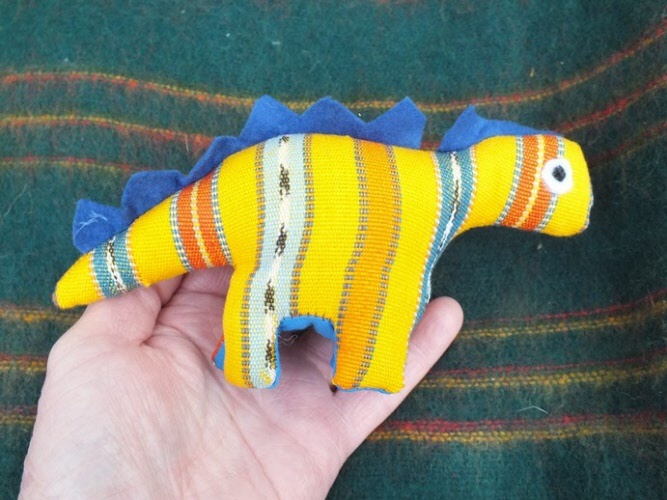 An ideal addition to your new baby's room / nursery. 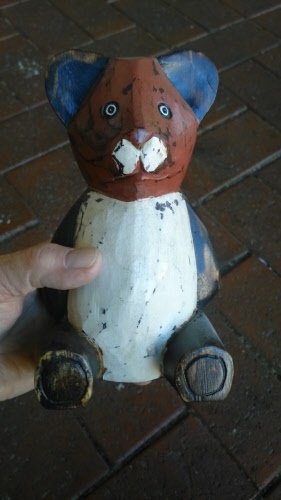 Great decoration, put him on a shelf, dresser or cupboard. He will last many, many years / possibly a lifetime for your child to keep into adulthood. 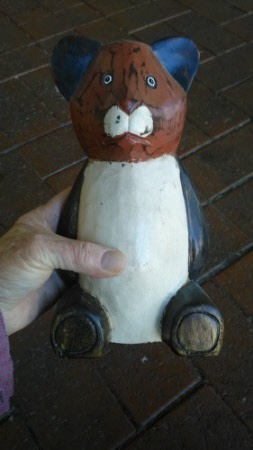 Made from wood and hand painted, he's a real treasure. An ideal addition to your new baby's room / nursery. Also a collectable item. Play by yourself or create your own team. keep the ball in the air - don't let it touch the ground - use your head, elbows, knees, feet, hips, but not you're hands. Longest to keep off the ground wins.